The price of gasoline moved sharply higher in the last week, driven primarily by supply problems in the Midwest and a new gas tax in California. The AAA Fuel Gauge Survey shows the national average price of regular is $2.53 a gallon, up nearly seven cents in the last seven days. The average price of premium is $3.06, up about six cents a gallon. California alone has a lot to do with the rise in the national average, as a new tax took effect this month. After a new 12 cents a gallon gasoline tax took effect at the beginning of the month, California's statewide average price for regular jumped from $3.03 a gallon to $3.22. A year ago, the average price was $2.79 a gallon. Patrick DeHaan, senior analyst at GasBuddy, says the Great Lakes region is also partly responsible for the recent price hike due to a combination of factors. "We've had refinery maintenance, the Explorer Pipeline being slowed due to a leak and gasoline inventories at a two-year low," DeHaan told ConsumerAffairs. "Relief is coming for the Great Lakes, however, as the Explorer Pipeline re-opened late last week after repairs were made." DeHaan says the gas price pattern this fall has been very different from the norm. It started with Hurricane Harvey, which interrupted gas supplies from the Texas Gulf Coast. It's continued with an unexpected rise in world oil prices. All of this, he says, means gas prices could be close to their 2017 highs during the holidays, which, in turn, could influence holiday travel decisions. "Prices during the holidays could be the highest in three years, but so far demand has strengthened as the year has progressed, and remains seasonally strong," DeHaan said. So far, rising prices at the pump have not dampened demand. AAA cites government data showing demand at the end of October was the highest since 2006, when the economy was flying high on the housing boom. Another aspect of the sudden increase in gasoline prices is its geographical nature. 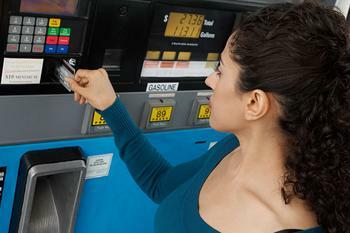 The price of regular gas varies widely, depending on where you live. The Southeastern states, with the exception of Florida, are paying the lowest prices. The average ranges from $2.21 a gallon in Alabama to $2.36 in North Carolina. Motorists in the West are paying the most, with the highest prices found in California, Hawaii, and Alaska.